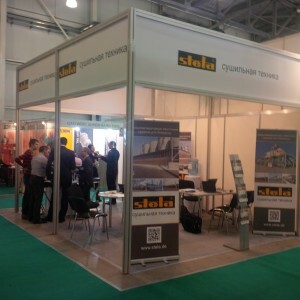 Stela Laxhuber GmbH was represented from 26 – 29. November at the greatest Russian fair for the wood processing industry. Stela made the decision for participating in this fair due to the significantly increased volume of sales on the Russian market. Especially the IPAN-Project was promoted at the 20m² boost with poster, brochure and leaflets. Stela Laxhuber GmbH was pleased to welcome many visitors from the wood processing industry in Russia as well as business partners from Western Europe.